Plywood Mill, Engineered Wood Product | Scotch Plywood Company, Inc. 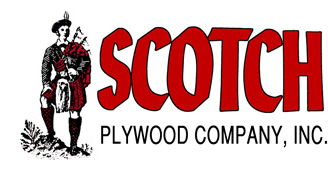 The heritage of Scotch Plywood Company, Inc. is rooted in the origins of Scotch Lumber Company. Scotch Lumber Company and the Harrigan family history in Alabama began in Clarke County in 1888. Around the turn of the 20th century, the softwood plywood industry got its start in the Pacific Northwest. It wasn't until 1964 that the first plywood mill began operation in the Southeastern United States using the vast Southern pine forest. The "Scotch" family saw the future. Later that same year, the third generation of "Scotch" ownership, the Harrigan and O'Melia families, began construction of a plywood mill just North of the Scotch Lumber Company mill in Fulton, Alabama. They produced the first plywood panel East of the Mississippi River in August of 1965. The original mill capacity was 50 million feet per year, serviced by a single dryer. As demand increased for plywood, they expanded their timber procurement area by constructing a veneer mill with a log yard 60 miles West in Waynesboro, Mississippi, in 1969. To handle the additional veneer capacity, a second dryer was built at the Fulton mill in 1970. In 1979, as demand continued to increase for plywood, Scotch looked East to expand. A veneer mill with a log yard and dryer came online in Beatrice, Alabama, approximately 60 miles from the Fulton plywood mill. Scotch Plywood Company, Inc. continues to reinvest in its personnel and manufacturing operations. This has enabled us to obtain a production level over six times greater than our original capacity. Changes continue to occur in the industry today, and we continue to produce quality plywood, the "original engineered wood product."